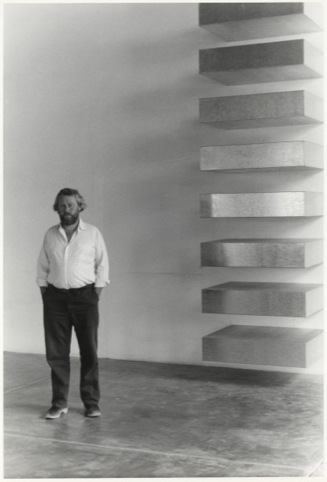 ‘[Minimalism] has nothing to do with anything’, blisters Flavin Judd, son of artist Donald – perhaps one of the artists we’d usually associate most with the movement. 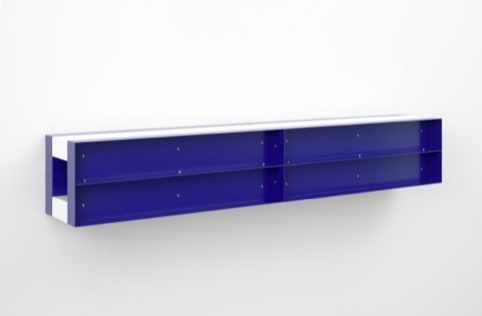 As he shows us round the new Donald Judd show at London’s David Zwirner Gallery, Flavin is keen to state how the terms ‘minimal’ and ‘American’ should be removed as far as possible from the lexicon surrounding his late father. 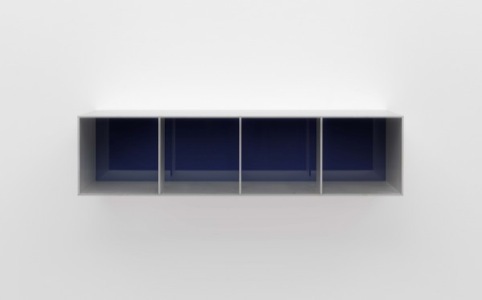 Minimal or not, however, there’s no denying the beautiful simplicity that characterises Judd’s work. 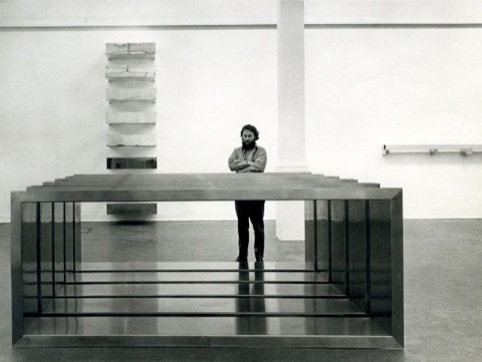 In 1965, Donald Judd’s essay Specific Objects outlines his ethos of producing work that was ‘objective and straightforward’, that avoided the inherited ideas of painting and sculpture and any grand, complicated or philosophical statements that surrounded them. 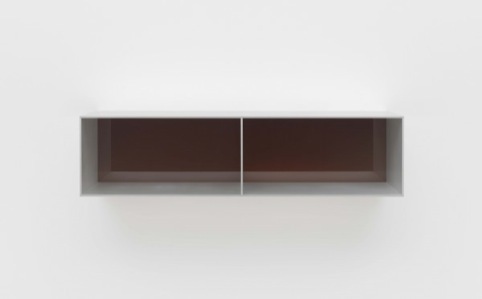 The new exhibition presents a series of works that span Judd’s career, highlighting the artist’s preoccupation with simple box forms and beautiful flashes of colour. 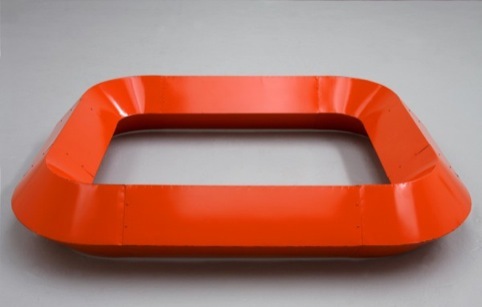 This desire for legibility in Donald Judd’s work carries through into his choice of materials. All are flat, uniform textures, created from industrial material such as plywood, steel, concrete, Plexiglas and aluminium. 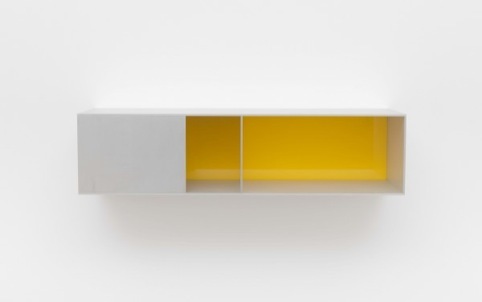 Because Donald was ‘not great with his hands’, according to Flavin, these components were passed onto commercial fabricators with the designs, and formed around the feasibility of their properties as much as aesthetic concerns. 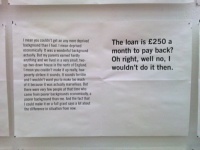 That’s not to say, however, that aesthetics take a back seat to fabrication constraints. Far form it. The vivid bright pink Plexiglas, the glorious egg-yolk yellow and the mesmerising structures of the work are truly beautiful – whatever you label them.